RSDirectory! 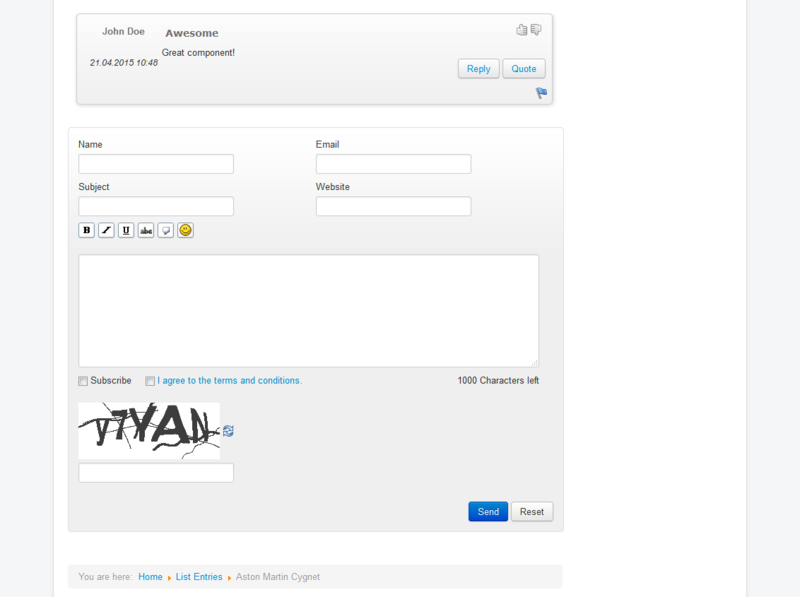 offers the possibility to enable comments for the entries in your directory. By default, RSDirectory! 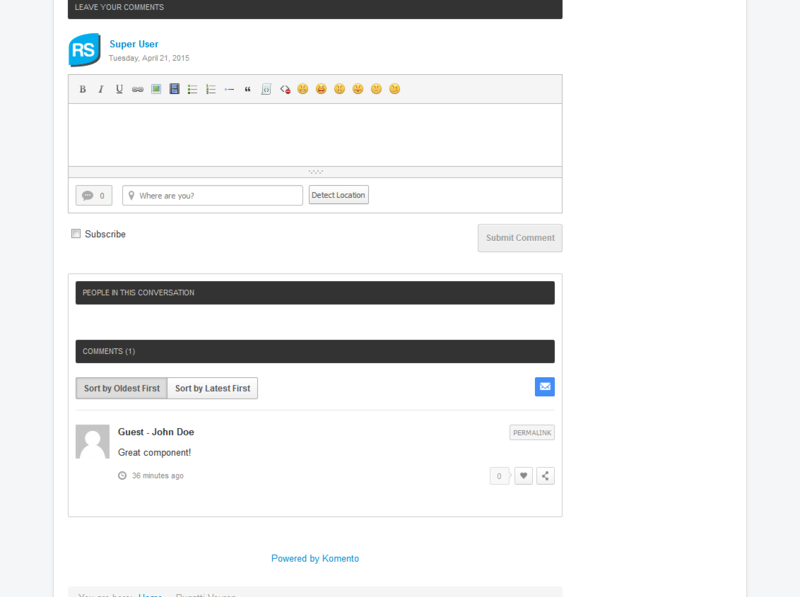 comes with the following commenting system integration: RSComments!, Facebook, Disqus and Komento. Information on how to enable and use each of these systems can be found below. After installing RSComments!, this option will be available for choosing from the RSDirectory > Configuration > Comments section. The Facebook comments integration does not require a "page" or any code. You will simply have to select it from this list and it will be rendered in the entry pages. 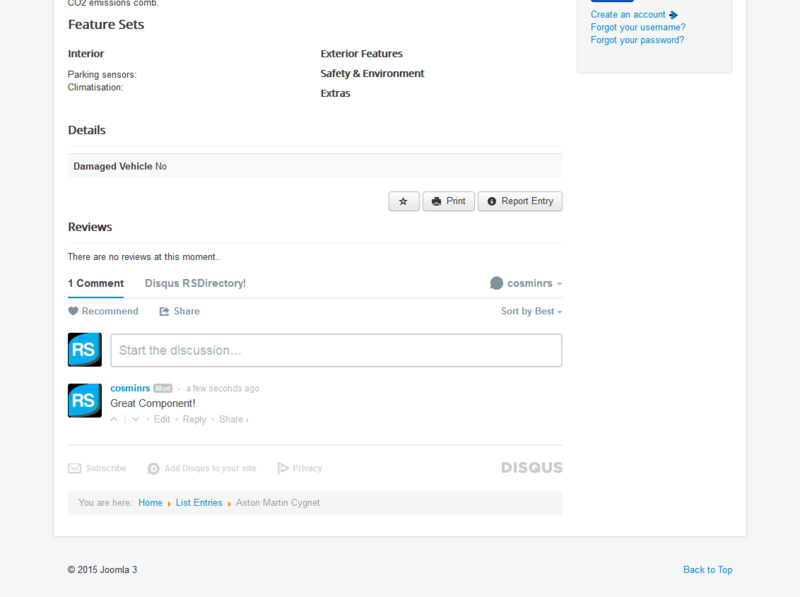 One of the most requested feature, Disqus implementation, will allow you to open a "disqussion" on the entry page. 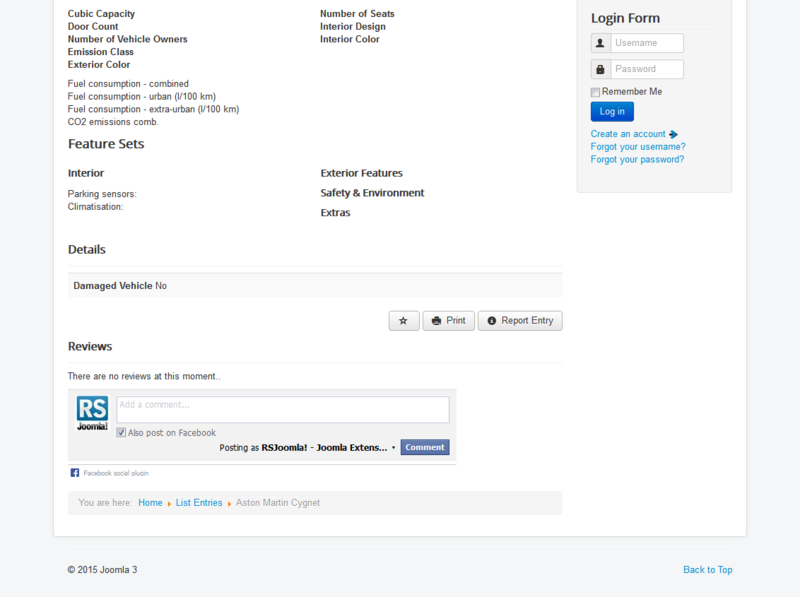 In order to enable this commenting system, login on Disqus and click "Add Disqus to Your Site". You will be prompted with a small form in which you will have to enter the Site Name, The Unique Disqus URL and the Category..
Last thing you need to do is to insert the site's "Shortname" (generated by The Unique Disqus URL) in the backend of RSDirectory!. Since RSDirectory! 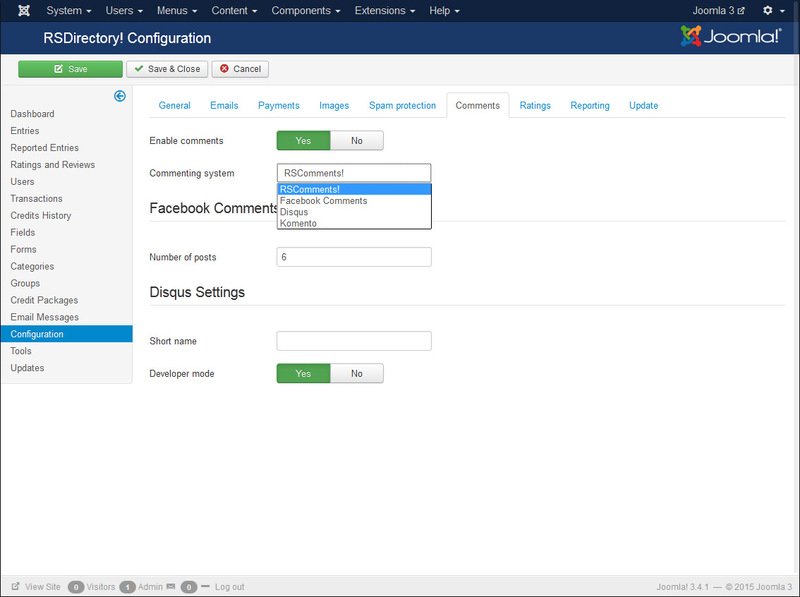 v1.5.12, you can enable Komento as a commenting system for your entries. Note that this option will become available only after you install the component. 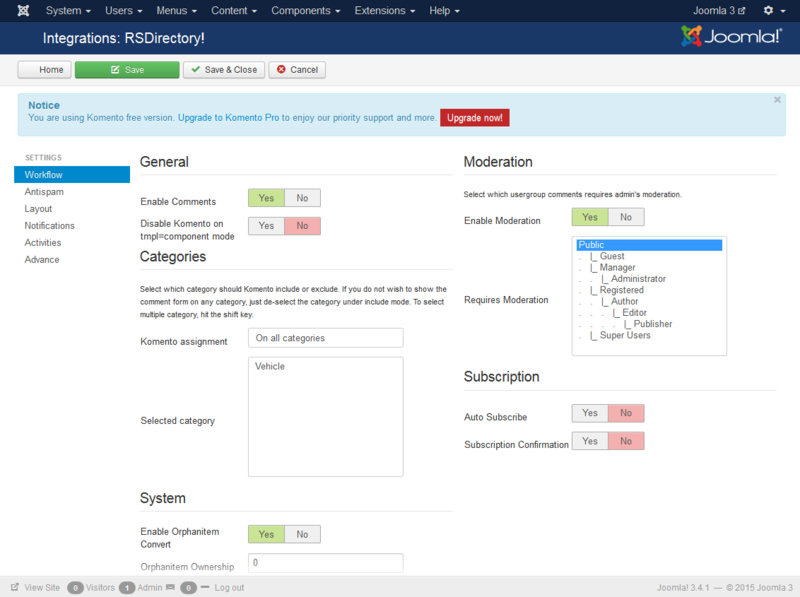 Enabling integration needs to be done by heading over to Components > Komento > Integrations > RSDirectory and switching Enable Comments to Yes.